Cousins announced that he was seeking to sell the club following the Flames’ exit from the playoffs. He claimed to have suffered significant financial losses on the team while low viewership hampered his ability to sign a television contract for the team. The team, estimated to have lost $12 million in its eight years, had been rumored for months to be moving to Calgary, though Dallas and Houston were also mentioned as possible destinations. The Seaman brothers, Daryl and Byron, had made an offer of $14 million while the City of Calgary prepared to build a new arena for the team. However, Canadian businessman Nelson Skalbania emerged as a rival bidder for the team before joining the Calgary consortium. The group agreed to purchase the Flames for $16 million, at the time the highest price ever paid for a National Hockey League team. The sale was announced on May 21, 1980, and the franchise became the Calgary Flames. 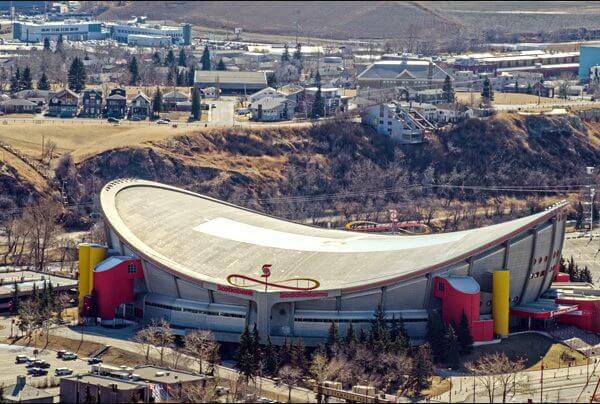 In 1983, the Flames moved into their new home, the Olympic Saddledome, now known as the Scotiabank Saddledome. Located on the grounds of the Calgary Exhibition and Stampede, the Saddledome was built as a venue for the 1988 Winter Olympics. In three seasons in the Corral, the Flames lost only 32 home games. The Saddledome hosted the 37th NHL All-Star Game in 1985, a 6–4 victory by the Wales Conference. The 1989 Stanley Cup Final was between the Calgary Flames and the Montreal Canadiens, the top two teams during the 1988–89 NHL regular season. As of 2012, this is the most recent time that the first two seeds met in the Stanley Cup Final, as the New Jersey Devils had one win less than the Detroit Red Wings in 2000 – 2001 when they played against the Colorado Avalanche in the 2001 finals. It is also the most recent time that the Final series was played entirely in Canada. 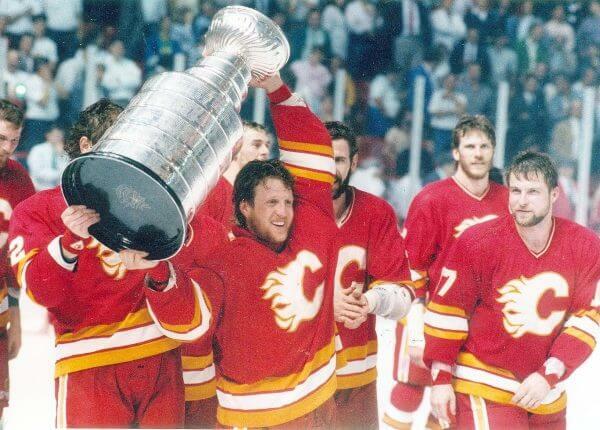 The Calgary Flames are also the first relocated NHL team (from Atlanta in 1980 – 1981) to win the Stanley Cup. After their cup win, the Flames would not win another playoff series for 15 years, when they reached the 2004 Stanley Cup Finals, but were defeated by the Tampa Bay Lightning in seven games. This would be the seventh of eight consecutive Finals contested by a team from Alberta (Edmonton Oilers x 6, Flames x 2). The Calgary Flames are a professional ice hockey team based in Calgary, Alberta, Canada. They are members of the Pacific Division of the Western Conference of the National Hockey League (NHL). The club is the third major-professional ice hockey team to represent the city of Calgary, following the Calgary Tigers (1921 – 1927) and Calgary Cowboys (1975 – 1977). The Flames are one of two NHL franchises in Alberta; the other is the Edmonton Oilers. The cities’ proximity has led to a rivalry known as the Battle of Alberta. Flames – When the team moved to Calgary, they were sold to a group headed by Nelson Skalbania on May 21, 1980, and the franchise moved to Calgary for the 1980 – 1981 season. 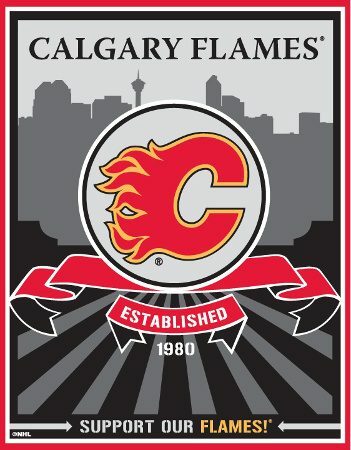 After holding a name-the-team contest, the ownership group voted to retain the Flames name and change the logo from a flaming “A” to a flaming “C.” “Flames” would be a good fit for an oil town like Calgary. Who is the greatest Calgary Flames? The Calgary Flames are a professional ice hockey team based in Calgary, Alberta, Canada.